This will allow you to prove that you sent that critical message and gives credibility to you rather than the other party is there is a dispute as to what was said when. Use this form of email for any legally or compliance critical message. Enter your own email address. 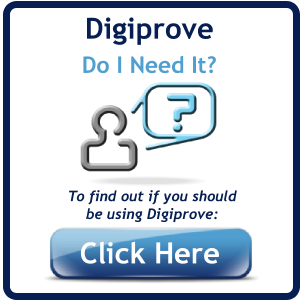 This will be used as the sending email address; it also becomes your User Id at Digiprove. If this is your first time to use the service, you will be asked for some other information to enable your registration at Digiprove. 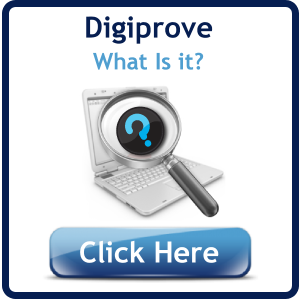 If you are already a Digiprove user, you will just need to enter your password. Blank passwords are not allowed and the minimum number of characters is 6. Passwords containing a combination of letters and numbers are considered stronger. Otherwise, just key in the requires email address(es). Separate multiple email addresses with a ";" character. The discreet plain-text choice will appear very much like a normal email to the recipient, with a low-key mention of the fact that the email is certified by Digiprove. The other option (with strong Digiprove branding) will draw very clear attention to the fact that the email has been certified. This is a note for your own purposes. It is shown against this email in the history of transactions (available when you log in to the Digiprove members' area).